Growth Habit: 18 inches high x 3 feet wide after many years. Comments: 2.5-3.0 inch ruffled, single flowers are pink with white margins and bloom May into June. 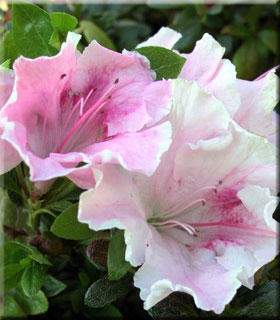 The various 'Gumpo' azaleas have been in production for over 100 years.